A page on TigerLocal will showcase your business to hundreds of local people looking for a wedding venue. So you'll get serious enquiries from new customers. 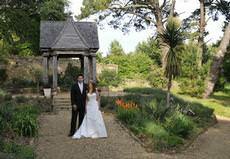 The Gardens offers a unique, stunning setting for your special day and a spectacular backdrop for photographs. 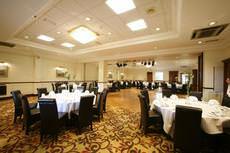 From a small intimate service and reception, to a large event - all can be arranged to the highest standard. The Albert Hall is an Historic Building and its unique surroundings will be exclusive to you for your ceremony and/or reception. 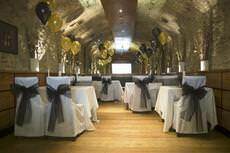 Our staff will be dedicated to ensuring you and your guests have a truly magical and memorable day. 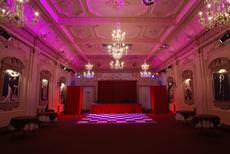 Bush Hall is an independent live music and events venue in London W12 with a rock and roll history. Charlotte House has now been granted a civil ceremony license meaning we can now offer you the perfect 5 star venue for both your wedding and reception. 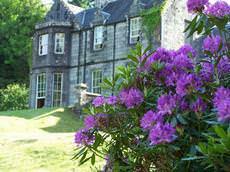 Charlotte House offers a magical setting for your special day. 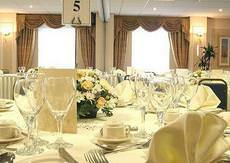 Wedding Reception The Claremont has two banqueting suites. The Edward Suite and Crescent Room are both individually decorated and cater from a small intimate wedding to a large formal occasion. 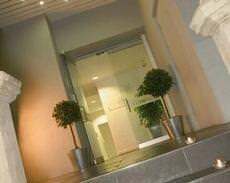 The Cliffs Hotel overlooking the Irish Sea is the ideal venue to hold your Civil Ceremony or Reception as you can relax and be sure they will think of everything. Erasmus Darwin House is a beautiful and unique venue for your wedding ceremony and for your reception. 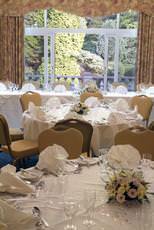 There are four rooms licensed for civil weddings seven days a week. 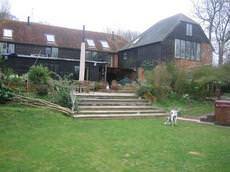 Fishlake Mill is a newly restored 18th Century Corn Mill set in beautiful country side with an abundance of wildlife and resident animals in a farmyard environment. 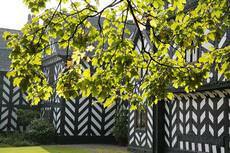 Haslington Hall, is a grade I listed building, dating back to 1545. The Hall is set within 25 acres of private grounds, including 2 lakes. An ideal venue for that very special Wedding. Hilton House hotel is a Georgian period house converted to hotel usage 30 years ago. It has the quirky feel of an older building with changing floor heights throughout and an open fire. 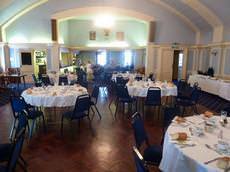 The Ilford Con Club is an excellent venue for Wedding Receptions located in Ilford Town Centre. We are a 5 minutes walk from the Ilford train station. 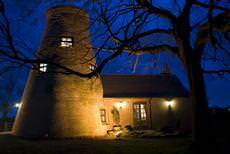 Leasam Farm Oast is set in eight acres and has breathtaking views of the valley and affords complete seclusion for that special wedding. The wedding reception can be celebrated inside or outside according to the client's requirements. We can make your special day like a dream by hosting the entire day under one roof. Let us take care of you and your guests, without the worries of travelling between venues, organising transport and suchlike. 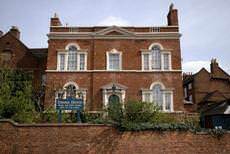 Situated in the centre of Stratford upon Avon, The Falcon Hotel offers you a warm welcome and a comfortable stay, making it the perfect venue for any special occasion. Your wedding day is a very special day for everyone. Planning your wedding can be an exciting time for you both to share.choosing the ring, writing the guest list. 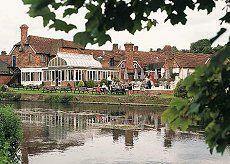 The Legacy Oaklands Country House Hotel is a fantastic location at which to marry. 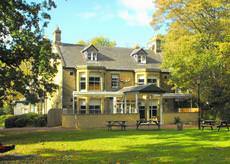 Nestling in 5 acres of parkland between the wolds and the mouth of the River Humber the Legacy Oaklands was built by the Long Family in 1877. 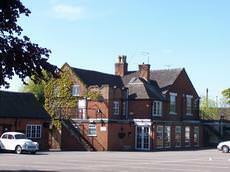 Situated near the centre of Salisbury, The Rose & Crown Hotel offers you a warm welcome and a comfortable stay, making it the perfect venue for any special occasion. 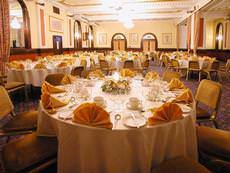 Situated in the heart of Snowdonia, The Legacy Royal Victoria Hotel offers you a warm welcome and a comfortable stay, making it the perfect venue for any special occasion. 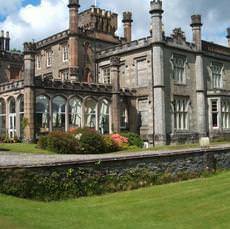 At Muncaster, our service and standard is as unique as your wedding and we treat you like individuals. To guide you in the planning of your day, we have our own wedding co-ordinator who will be on hand. Enjoy the wedding you've always dreamed of in the divine setting of Royal Holloway, an exceptional venue that will provide special memories from the welcome through to the catering. 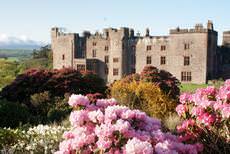 Owned by the National Trust, Rufford Old Hall is one of Lancashire's finest 16th Century Buildings and is the ideal venue for a civil wedding. 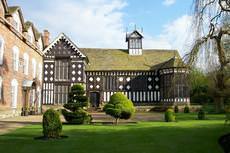 The magnificent Tudor Great Hall dating from 1538 is licensed for civil marriages. A warm friendly welcome awaits you.... 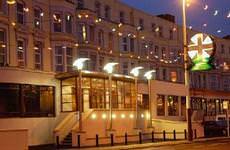 The Station Hotel offers a warm friendly atmosphere. 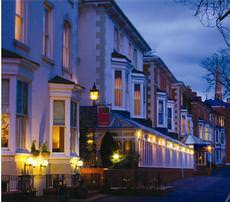 Set in the heart of the Midlands, the Hotel is easily accessible from Junction 2 of the M5 which is only five minutes drive away. Set in 250 acres in the heart of the Warwickshire countryside, Stoneleigh Park is a stunning and flexible location for your wedding. 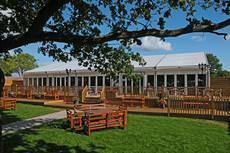 This luxury waterfront marquee is the perfect summertime venue for BBQ's, drinks receptions, lunches, cocktail parties, seated dinners, product launches, awards ceremonies and weddings. The Brighton Hotel is steeped in history. Formally three magnificent private residences The Brighton hotel is one of the oldest hotels in Brighton dating back to 1854. Perched on a hill in the heart of Kirkstall, sits the former gatehouse to one of Britain's most romantic abbeys. 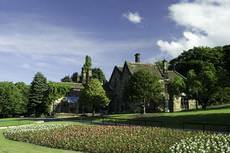 This 12th Century Gatehouse to Kirkstall Abbey is a truly romantic setting for your wedding celebrations. 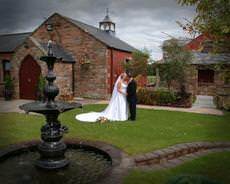 On the banks of the River Tees, in County Durham, this 16th Century coaching inn is set in exquisitely landscaped gardens, the perfect backdrop for beautiful wedding photography. You've found the perfect partner, now view the perfect venue. 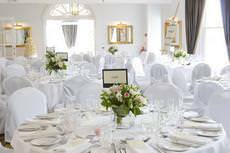 The Kings Hotel has provided pleasure to guests over many years, and really comes into its own for wedding & civil partnership celebrations. We offer an affordable Wedding venue which has the class of a building dating back to 1848 nestled in its own wooded garden with large lawns ideal for a marquee. Described as 'one of the splendours of Victorian Leeds', it is easy to see how the building gained this historic accolade. 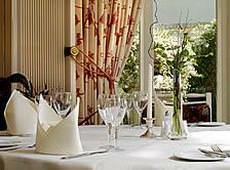 A beautiful venue combined with outstanding food and exceptional service. Their wedding day is often said to be the most important day of a person's life. The venue chosen is of course of paramount importance. Here are some important frequently asked questions that brides and grooms encounter when choosing the location for their perfect day. 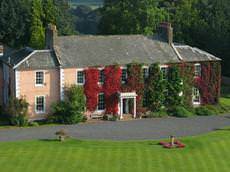 What does the wedding venue handle? Wedding venues run the gamut from simply hiring a beautiful spot, to organizing much of the event. When choosing a wedding venue, it is common to go through all the various facilities of the venue, and discuss with them whether they will handle organization such as the flowers, the reception, the catering and food, even the entertainment. How much is handled by the venue can usually be up to you, and is dependent on whether you want to handle more or less of the event by yourself. What are the average costs of a wedding venue? The average cost of hiring a venue for the day is around £2000. This does not include food, which on average costs an additional £3000. The drinks bill tends to come in around £750. 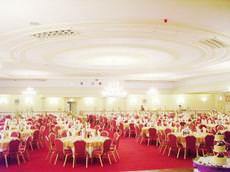 These figures of course depend on the type of venue, the size of the wedding and the level of extravagance. What should you ask a wedding venue before making a choice? The obvious first questions are how many guests they can support, whether they have parking (and for how many vehicles), and whether they are licensed to carry out civil registrations on the premises. For larger venues you should check whether they will be giving you exclusive use of the premises on the day, or whether there is the possibility of another wedding on the same day. What are some often forgotten considerations that you should make before choosing a wedding venue? How can one find wedding venues in the area? 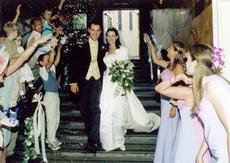 Nowadays, the most reliable source of information on wedding venues is online. Directories carry a wide range of different wedding venues, and can offer interesting alternatives to those you may already know. On the other hand, it is also helpful to get the views of other people about how different wedding venues handled their event in the past. What are the main budgeting considerations? When choosing a wedding venue, ask if the price is per-head or an all-encompassing cost. Discuss the food options, and ascertain whether you can use your own caterer (and whether it would be cheaper or better to do so). Does the venue supply entertainment as part of the package? What about some last-minute checks? Some venues do not allow photography, or have difficult access for wheelchair guests. Think about whether your venue will require a separate creche. 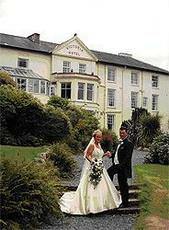 Ask whether the wedding venue has hotel facilities for guests who need to stay over. Remember to keep your maximum budget in mind, as the various trappings of weddings can quickly add up.